KUALA LUMPUR: The Malaysian equity market capitalisation contracted by 10.8% to RM1.7 trillion in 2018 from RM1.9 trillion in 2017, amid challenging external developments, the Securities Commission (SC) reported. In its annual report 2018 issued on Thursday, it said while the domestic stock market started the year on a firm footing, it closed lower towards the end of the year. Among the factors were heightened external headwinds from the escalating trade tensions between the US and China, the uncertainties surrounding US monetary policy tightening, fear of contagion from the EMEs and volatile oil prices. 1,690.58 as at end December 2018,” it said. The SC report stated the KLCI was weighed by construction, technology and property sectors in 2018. Weak corporate earnings was also a pressure point for the KLCI for the year. However, the Small Cap and ACE Market indices ended 2018 lower by 33.7% and 34.6% respectively, declining more towards year end on profit-taking activities. “The challenging global environment also resulted in shifts in foreign investor positions throughout the year. Foreign investors registered a net outflow at the end of the year amounting to -RM11.7bil. “Local institutional investors turned net buyers for the year to the tune of RM7.7bil, with the remainder taken up by retail investors, thus cushioning foreign equity outflows,” it said. The high level of domestic liquidity in the capital market allowed for sustained orderly market adjustments of funds between non-resident and local investors. 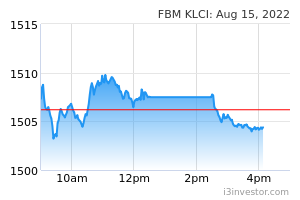 When compared with the regional markets, the KLCI performed relatively well. The KLCI performed better than Singapore’s STI, Thailand’s SET and the Philippines’ PCOMP, which declined by 9.8%, 10.8% and 12.8% respectively, but behind Indonesia’s JCI which fell by 2.5% for the year. In addition, Malaysia had a more contained outflow of funds compared to its Asean-4 counterparts. The outflow of funds for Malaysia was less severe than Indonesia and Thailand which both recorded net cumulative outflows to a tune of -US$3.7bil and -US$8.9bil respectively. As for the fund management industry, the SC report stated that total assets under management (AUM) for 2018 fell to RM743.6bil (2017: RM776.2bil). “The unit trust industry remained the largest source of funds under management, with net asset value (NAV) amounting to RM426.2bil in 2018 (2017: RM427bil). Overall, 79.4% of the fund management industry’s AUM was invested locally, of which 44.2% was in domestic equities, followed by 28.5% in money market placements and 22.7% in fixed income. Compared to 2017, investment in local equities declined in value by RM36.2bil whereas domestic money market placements and fixed income increased by RM5bil and RM7bil respectively.